Well, it seems that I’ve chewed my nails off again. I hate this habit, I hate that I do it. It’s a nerve/anxiety crutch of mine that I keep not being able to stop doing. With Christmas a little more than 2 weeks away, I really want to have pretty nails and hands. So, if you’d like to join me, I’ll be transforming my nail area from blugh to bling! Filed nails to smooth the edges, added a coat of Revitanail Sensitive. 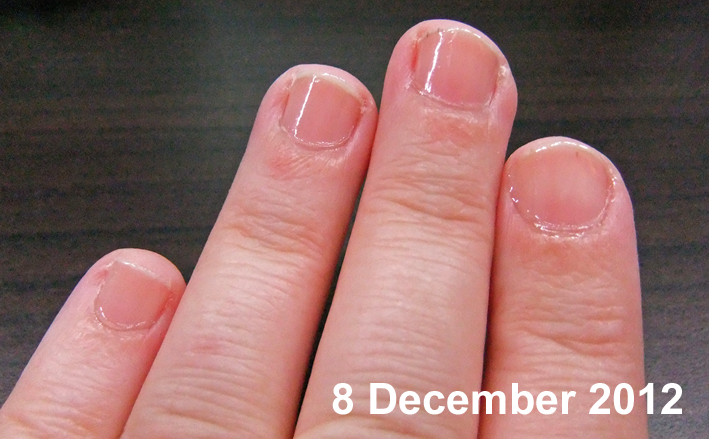 Used Lanolips 101 Ointment on cuticle area, and Lanolips Rose Balm Everyday on hands before bed. Please Note: Any products used have been purchased by myself or received as a gift from a family member. No products used have been given to me by the manufacturers or their publicity companies. These products are just what I use. One of the things I’ve had a problem with is drinking my daily recommended water intake. I’ve never really counted tea or other drinks, which would bring my water intake to about 300ml a day. NOT GOOD. Talking to one of my girlfriends, who has a water bottle that she takes with her everywhere, I was inspired to see what I could do to start being just that little bit healthier. On one of my “OMG I have so many errands to get done in the space of four hours” days out, I found a nice water bottle made by Lock & Lock. It was on sale for about $8, it’s BPA free and has a nice opening. I ended up with a 700ml size, which is rather large… but I’m determined. It’s lightweight, so won’t be a drag once it’s empty and I have to carry it around. The dilemma that followed was actually filling it and drinking ALL.THAT.WATER . The thought of it kind of squicked me out. But the determination to do something good for myself out weighed the squick. I started looking up information on infused water, and how I could do it at home without ending up with a big jug of gross. Google search is magnificent for these things! Suddenly I was wading through instructions and recipes, suggestions for combinations of fruit and herbs and lots of information! I remembered I had some frozen raspberries in the freezer, and an infusing jug in the cupboard. So I put about 1 cup of berries in the infuser and filled with water. A couple of hours later, I had lovely pink tinted, softly flavoured water. I filled my jug and finished it before I went to bed last night. It was so EASY to drink! I figured the berries would last a couple of days, and I could keep refilling the jug as I put it into my bottle. I might just be onto a winner here! I filled my bottle last night before bed, and I’m onto my 2nd one now (2:30pm). It’s a lovely flavour and I am looking forward to trying all sorts of different combos! Now I can drink ALL THE WATER! The year is coming to a close and a lot of my friends have been blogging their knitting/craft retrospectives for 2010. Given that my personal knitting came in at under 6 projects for the entire year, I figured that wasn’t much of a blog post. So instead, I thought his year I would pit together a little list of my fave products and places of 2010. 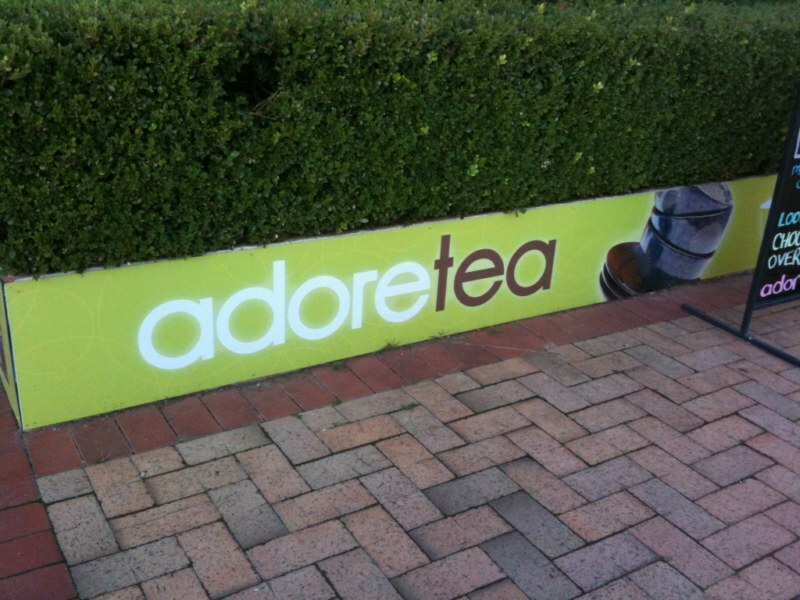 Whilst on a trip to Canberra in May, we happened upon a tea house that had only been open for a couple of months. It has an outdoor and indoor dine in section, a lovely store full of various teas and tea related hardware. If you’re in the ACT, it’s definitely worth going to. I can recommend the Cafe Latte flavoured black tea. They also do tea infused cocktails. I haven’t had one yet, but next time I’m south, I’ll be planning on rectifying that. No, this is not a new brand, but I have only recently started using it. It’s a “supermarket” brand, which I’ve been a little reticent to really invest in. But money was a little tight and my skin was suffering. So I dove in and have been really impressed with how clear my skin is becoming. I have two cleansers, one is a warming one that has little exfoliation beads, and the other is a very refreshing “ice” foaming gel one that is great for that real pick me up feeling. I also have the Triple Action Toner which is phenomenal! I have sensitive skin, and have not found these products to be irritating. I have been on constant scout for ‘the perfect’ mascara. I have tried countless brands and different products within those brands. 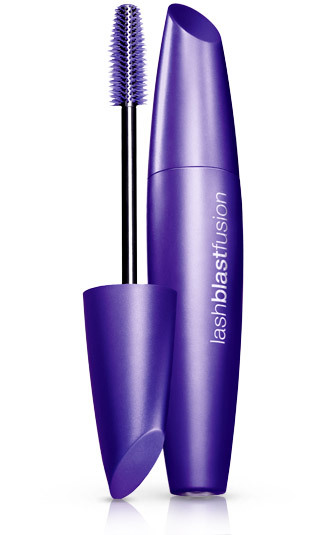 I was looking for a mascara that even slightly emulated the false lash look that you see in all the mascara ads. And after a LOT of disappointments, I finally found one that I’m just thrilled with! It doesn’t replace wearing false lashes, but it certainly makes my natural lashes appear thicker and longer without clumping. All they need to do now, is make it waterproof. Looking good while keeping hydrated is excellent. Saving the planet while looking good and keeping hydrated is AWESOME! Made from food grade stainless steel, they come in lots of colours and sizes. We have a few always filled in the fridge ready to have cool, refreshing water on hand. 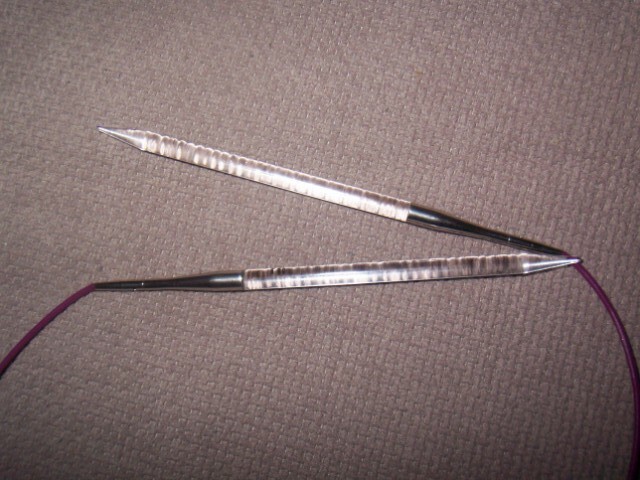 These clear wands of wonder have made knitting lace THAT much easier. Enough grip to prevent you losing stitches unnecessarily, yet not so sticky that they’re uncomfortable to knit with. Plus, they’re see through and look awesome. I have two sets so far, and can see that increasing so I’ve covered my most used lace sizes (possibly more than once over). This Australian product has simply blown me away. The Boy suffers with severe eczmea, and the 101 ointment has given immediate relief to dry, cracked skin. It has also spruced up my cuticles, lushed up my lips and softened my elbows. The Rose Balm is just lovely to use on my hands several times a day. The smell is not overpowering, and delightfully girly. After a very fortunate win of some giftcards from Harvey Norman, we decided to invest in a Nespresso machine. We’d tasted the coffee previously and knew that it was a range of coffees that we enjoyed. 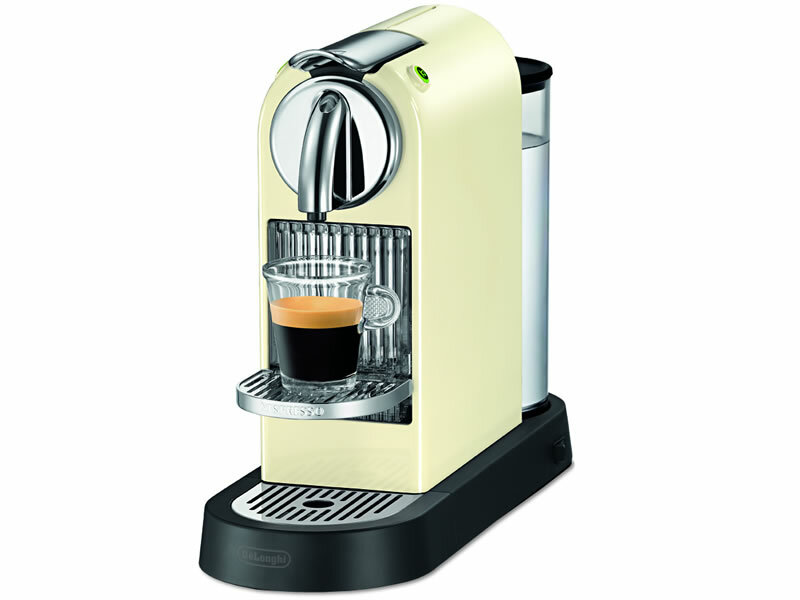 We have had other types of coffee machines, but we have found the Nespresso to be SO much easier, and much less messy. After reading a review on SuperKawaiiMama’s blog, I practically ran out and bought one for myself. 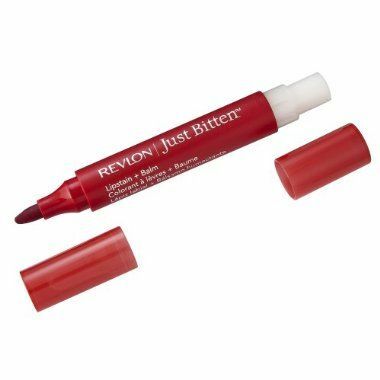 The colour is intense, the felt tip gives a sharp line, the colour lasts and doesn’t irritate my lips. It is also a brilliant base for under my lipstick. I bought the Gothic as a very vamp red, and can see myself buying another more ‘daytime’ red and possibly a pink for those ‘innocent’ days (HAHAHAHAHA). Once a month in Tempe is a fantastic Markets & Music gig. Stalls with vintage clothing, jewellery, accessories and homewares alongside corsets and silver skull knuckle dusters. Pin up photography and jumping castles, Rockabilly music and alternative art. I have picked up a few great accessories from the markets, and I’m sure throughout 2011, I’ll find more. Info for these markets can be found on Facebook. So that’s it, my 2010 Favourites. What have you found this year that has made your list?